I was taking to some friend about Tibet last night when the subject of self immolations happening in the UK came up. The fact that over 20 Tibetan monks/nuns have taken this action in Tibet over the last year has hardly penetrated the western media. Why is that? Is it because the western media requires immediate images to create the news and mobile phone footage a week later is not good enough? What if a Tibetan Monk self immolated in the middle of Oxford street London on a Saturday afternoon? There would be over 100 video images in HD being circulated on the net within minutes even before the emergency services have arrived. All news organisations would have it as a headline and top politicians would be required to provide a comment. Fortunately the oppressive conditions that have produced these immolations in Tibetan areas of China do not exist in the UK. We have democratic processes, separation of powers and the rule of law in the UK. Tibet has non of these and the only options for religious practitioners are to do what the Communist Party says, denounce the Dalai Lama as a 'splittist' and undertake patriotic re-education. DHARAMSHALA, February 27: Reporters Without Borders, the global press freedom organisation has expressed “alarm” at the total media blackout imposed by Chinese authorities in Tibet, preventing all media coverage of the ongoing wave of self-immolations and mass demonstrations in the region. “Not only are foreign media organisations prevented from covering these events, but the authorities have also organised a veritable disinformation campaign, using pro-government media such as the Global Times, which play down the disturbances and accuse the international community of interfering,” RSF said in a special report last week. Accusing China of once again aiming to “control the Tibetan people behind closed doors” by excluding journalists, the group said Beijing is trying to restrict all communication between the region and the rest of the world. RSF noted that since January 24, Internet and cell phone networks have been severely disrupted within a radius of 50 km around Serthar, eastern Tibet following massive demonstrations in the region. Websites of Tibetan exile media organisations are inaccessible, while discussion forums and blogs in the Tibetan language, such as Sangdhor.com and Rangdrol.net, have also been blocked since February 3, the group said. Taking note of the unlawful restrictions on foreign journalists, including BBC and CNN from entering eastern Tibet, the group said journalists suspected of wishing to defy police instructions are victims of harassment by the security forces. “Some have complained of being followed, others that they have been escorted to the airport by the police, questioned for several hours, forced to wipe the pictures they have taken and have had their equipment seized,” RSF said. The report also condemned China for embarking on a “campaign of disinformation” which includes hacking of overseas media networks for propaganda purposes. According to the world press freedom index compiled by RSF, China fell six places in the 2011-2012 and now stands in 174th places of 179 countries. DHARAMSHALA, February 25: The New York Police Department has ordered the removal of the tent hosting the three Tibetan hunger strikers in front of the United Nations headquarters. Tsewang Rigzin, president of the Tibetan Youth Congress, the largest pro-independence group in exile and organisers of the ongoing indefinite hunger strike has reported the latest development. The three Tibetans began their indefinite fast in front of the United Nations Headquarters in New York on February 22, coinciding with the first day of Losar – Tibetan New Year. They are directly appealing the United Nations to immediately send a fact-finding delegation to Tibet, put pressure on China – to stop the undeclared martial law in Tibet, to allow international media inside Tibet, to release all political prisoners including Gedun Choekyi Nyima and Tulku Tenzin Delek, and to stop the “patriotic re-education” campaign in Tibet. “We also appeal world leaders and governments to intervene and engage directly with the Chinese leadership to stop the ongoing genocide in Tibet,” the Tibetans had said in an earlier release. The president of TYC said that the hunger strikes were moved to a temporary location near the initial site of protest and were determined to continue with their demands. “Come rain, wind or NYPD, the hunger strikers are not deterred and ready to go on until UN hears them,” Rigzin said. Despite of the police orders, the indefinite fast is being observed amidst the continuing wave of self-immolations in Tibet and the growing military clampdown in many parts of Tibet. Since 2009, 23 Tibetans in Tibet have torched their bodies demanding the return of Tibetan spiritual leader His Holiness the Dalai Lama and freedom in Tibet. Tibet has been cut off from the outside world following a Chinese government decree. Internet and phone lines in the restive regions of eastern Tibet have remained shut for nearly a month. The sudden move by the authorities has drawn criticism from Tibetans and rights activists. (From left to right) Dorjee Gyalpo, Shingza Rinpoche and Yeshi Tenzing, the three Tibetans on indefinite fast infront of the UN headquarters in New York, February 22, 2012. DHARAMSHALA, February 23: Tibetan Youth Congress, the largest pro-independence group in exile launched an indefinite fast in front of the United Nations Headquarters in New York on February 22, the first day of Losar – Tibetan New Year. His Eminence 11th Shingza Rinpoche, 32, a well known political and literary activist, Dorjee Gyalpo, 59, a Tibetan-American, and Yeshi Tenzing, 39, a long-time TYC activist are the three Tibetans undertaking the indefinite fast. The three are directly appealing the United Nations to immediately send a fact-finding delegation to Tibet, put pressure on China – to stop the undeclared martial law in Tibet, to allow international media inside Tibet, to release all political prisoners including Gedun Choekyi Nyima and Tulku Tenzin Delek, and to stop the “patriotic re-education” campaign in Tibet. “We also appeal world leaders and governments to intervene and engage directly with the Chinese leadership to stop the ongoing genocide in Tibet,” the Tibetans said. Since Tapey’s self-immolation protest in 2009, 23 Tibetans have torched their bodies demanding the return of Tibetan spiritual leader His Holiness the Dalai Lama and freedom in Tibet. “The world cannot continue the blunders of remaining blindly dependent on the Chinese government’s misrepresentation of the Tibetan independence movement shamelessly framed as ethnic conflict or simply reduced as a struggle for religious freedom,” TYC said. The fiery wave of self-immolation has witnessed a dramatic escalation in recent weeks with as much as three Tibetans torching their bodies last week alone. “China must wake up to the reality that it can never dream of conquering the undying will of the Tibetan people who stand united and resolute to ultimately bring down the brutal communist Chinese regime,” TYC said. “If you do not take immediate actions to help douse the burning flames inside Tibet, you become accountable to every growing casualty within the Tibetan population,” the release said. Known as Little Tibet, Ladakh borders Tibet and sits on the roof of the world in northern India. 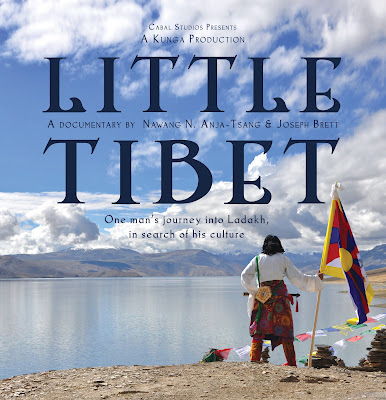 Sonam is a Tibetan who can no longer return to his own country and is in search of Tibet outside of Tibet. Sharing much of Tibet's culture, language and landscape could Ladakh be that place? Follow his journey through rain, snow and desert where he discovers the beauty of his culture preserved in this remote, high altitude land. The Tibetan has been identified as Losang Gyatso, age 19, a monk at the Kirti monastery in the beleaguered region of Ngaba, eastern Tibet. DHARAMSHALA, February 11: In confirmed reports coming out of Tibet, a teenage Tibetan nun set her body on fire raising slogans against the Chinese government in Ngaba, eastern Tibet today. The exile base of Kirti monastery in Dharamshala, in a release today identified the nun as Tenzin Choedron, 18, from the Mamae Dechen Choekhorling nunnery. “At 6 pm on February 11, Tenzin Choedron, age 18, a nun at the Mamae nunnery in Ngaba, set herself on fire while shouting slogans of protest against the Chinese government,” the release said. Eyewitnesses have told sources in exile that Tenzin Choedron did not die on the spot and was immediately taken away by Chinese security personnel towards Barkham region. Following the self-immolation, Chinese armed forces surrounded the nunnery and sealed it off. At the time of reporting, no further information is available. Born to Lopay and Tsepo, Tenzin Choedron is the eldest of her four siblings. On October 17 last year, nun Tenzin Wangmo, around 20 years of age, from Mamae nunnery had set herself on fire demanding the return of His Holiness the Dalai Lama from exile. Tenzin Wangmo passed away immediately. The Dechen Choekorling nunnery, located at a distance of around 3 kms from Ngaba town is the largest nunnery in the region with more than 350 nuns. During the pan-Tibet uprisings of 2008, the Mamae nuns staged a protest march, carrying a portrait of the Dalai Lama, following which many nuns were arrested and detained. The entire Ngaba region, which alone has witnessed 14 instances of self-immolations, continues to remain tense following the self-immolation of a 19-year old Tibetan Rigzin Droje on Febraury 8. In Tibet, 22 Tibetans have set their bodies on fire demanding the return of exiled Tibetan spiritual leader His Holiness the Dalai Lama and protesting China’s continued occupation of Tibet. Just this month, six self-immolations have already occurred. Many parts of Tibet remain cut off from outside world with a prevailing situation of undeclared martial law following mass protests in recent weeks in which at least a dozen Tibetans are feared dead in police firings. The Tibetan exile leadership and rights groups have expressed fear of further bloodshed and self-immolations in Tibet. A ' Chalk Tibet' event was held in Bath this morning (11th Feb 2012) around the Abbey. The event was designed to highlight what has been happening recently in Tibetan areas of China: the immolations and shooting dead of Tibetan protesters by Chinese forces. The event created much interest including some from the Chinese community who were shocked that these events were going on in China. The British House of Commons. An Early Day Motion (EDM) condemning the Chinese security forces’ “unwarranted use” of force on unarmed Tibetan protesters and calling on Prime Minister David Cameron to make a public statement of concern on the “deteriorating human rights situation in Tibet” was tabled on February 8 in the British Parliament. The motion expressed the Parliament’s great sadness on the loss of life both of Tibetans who were “shot and killed” in peaceful demonstrations and the instances where Tibetans have resorted to self-immolation in an effort to draw attention to the ongoing repression by the Chinese authorities. Urging its government to put pressure on China to “ease tensions” by withdrawing its armed forces from Tibetan areas, the motion called on Beijing to give foreign journalists, humanitarian agencies and independent observers “full and unfettered” access to Tibetan areas to ascertain the current situation. The motion further called on the British Government to work with other governments in safeguarding Tibetans’ rights and instigating a “multilateral approach whereby international governments together urge the Chinese government to enter into immediate and unconditional negotiations with representatives of the Tibetan people in order to resolve the Tibetans' underlying grievances”. The motion was tabled, coinciding with the global vigil on February 8, called in solidarity with Tibetans inside Tibet by the exile Tibetan leadership. Although EDMs are formal motions submitted for debate in the British House of Commons, however, very few EDMs are actually debated upon, with most of them used at demonstrating the extent of parliamentary support for a particular cause or point of view. Ahead of the 53rd anniversary of the March 10 Tibetan National Uprising Day, Tibetans and supporters in the UK are planning a series of campaigns which include a mass lobby of Parliament and a Tibetan freedom March outside the Chinese Embassy in London. The Details of the EDM are below - check the following link to see if your MP has signed it. That this House strongly condemns the Chinese security forces' unwarranted use of force including opening fire on unarmed demonstrators to quash peaceful protests in Tibet; is greatly saddened by the loss of life both of Tibetans who were shot and killed whilst protesting and the instances where Tibetans have resorted to self-immolation in an effort to draw attention to the ongoing repression by the Chinese authorities; is alarmed by the imposition of de facto martial law in Tibetan regions, the restriction of movement for Tibetans and the complete ban on foreign media; calls on the Prime Minister to make a public statement of concern on the deteriorating human rights situation in Tibet; further calls on the Government to urge the Chinese government to ease tensions by withdrawing its armed forces from Tibetan areas, to release full details of all incidents involving its forces opening fire upon civilians and to give foreign journalists, humanitarian agencies and independent observers full and unfettered access to Tibetan areas to ascertain the current situation; and further calls on the Government to work with other governments to safeguard Tibetans' rights and interests and instigate a multilateral approach whereby international governments together urge the Chinese government to enter into immediate and unconditional negotiations with representatives of the Tibetan people in order to resolve the Tibetans' underlying grievances. Listen to the audio recording of Lama Soepa's message. May all the merits that I have accumulated benefit all sentient beings, especially those who are suffering in lower realms such as hell. I offer these prayers for them to attain higher rebirth. DHARAMSHALA, February 10: There are reports of yet another self-immolation that took place yesterday in the Keygudo (Ch: Yushu) region of eastern Tibet. Although initial reports are scare, the Tibetan is being described as a monk in his thirties from the La Monastery in Tridu, Keygudo. “A monk in his 30s set fire to himself on the main road of La Township, Tridu County, Keygudo Autonomous Prefecture (Ch: Chenduo County, Yushu Autonomous Prefecture, Qinghai) yesterday, 8 February, between 1 and 2pm local time,” a release by the London based campaign group Free Tibet said. Eyewitnesses report that the monk was alive but in a serious condition when he was taken away by Chinese security personnel. The fiery wave of self-immolations is now spreading to other areas of Tibet with yesterday’s self-immolation being the first reported from the Keygudo region. The rate at which Tibetans are setting themselves ablaze has also seen an alarming increase. On February 8, just a day earlier, Rigzin Dorze, 19, set himself on fire in Me’uruma township of Ngaba. Eyewitnesses said his condition was very serious and it is not yet known whether he is dead or alive. Just this year, nine Tibetans have set themselves ablaze demanding the return of exiled Tibetan leader His Holiness the Dalai Lama. Since Tapey’s self immolation in 2009, now 21 Tibetans have torched their bodies protesting China’s continued occupation of Tibet. On February 8, coinciding with the call for a global solidarity vigil for Tibetans inside Tibet made by the exile Tibetan leadership, around 400 monks from the Dzil Kar monastery in Tridu began a protest march to Dza Toe town at 10 am local time. The monks carrying banners demanding the return of His Holiness the Dalai Lama from exile and respect for Tibetan lives were confronted by a large number of armed Chinese security personnel at a bridge leading to the town and were apprehended from moving further. However, there were no reports of arrest following the protest. In another protest on February 4 Saturday, four Tibetans were arrested by Chinese security personnel for carrying out a peaceful protest in front of a Chinese police station at Dza Toe town again in Tridu region of Keygudo. The current whereabouts of the Tibetans remain unknown. His Holiness the Dalai Lama with Gianni Vernetti, the Vice-President of the Italian Parliamentary Group for Tibet (left)and Matteo Mecacci, the President of the Italian Parliamentary Inter-Group for Tibet (right)in Rome, November 2011. DHARAMSHALA, February 9: The Italian Chamber of Deputies, the lower house of the Italian Parliament unanimously adopted a resolution yesterday urging the Italian government to initiate its European Union partners in raising the issue of Tibet during the upcoming EU-China Summit in Beijing on February 14. The resolution introduced by Gianni Vernetti called upon the Chinese government to immediately end the undeclared martial law in Tibet and resume the deferred dialogue process with the envoys of the Dalai Lama. Introducing the resolution to the press, Vernetti said: "The Resolution approved today by the Italian Parliament sends a strong message to the People Republic of China requesting an immediate cessation of violence against Tibetan people and Tibetan monks and nuns." "The resolution commits the (Italian) Government to raise the issue of human rights in Tibet on the occasion of the next European Union-China Summit that will begin February 14th in Beijing." Referring to the fiery wave of self-immolations and the recent surge in China’s violent crackdown on unarmed Tibetan protesters, the resolution said that these episodes were self-evident of the “extreme despair” to which Tibetan monks and nuns have been driven by the “systematic denial of the right to freely practise their religion”. The Italian lawmakers also urged the specialised agencies of the United Nations and in particular the Office of the High Commissioner for Human Rights and the Human Rights Council to monitor respect for human rights in Tibet. The EU-China summit was initially scheduled for October last year. Ties between EU and China recently hit a rough patch following EU’s condemnation of China and Russia for vetoing a United Nations Security Council resolution calling for an end to violence in Syria. A Tibetan carrying a bullet injury to his stomach region following China's violent crackdown on protests in Drango, eastern Tibet on January 23, 2012. DHARAMSHALA, February 9: Phayul is getting confirmed reports that Chinese security personnel hunted down and killed a Tibetan who had suffered bullet wounds in the January 23 protests in Drango along with his brother earlier today. The two have been identified as Yeshi Rigsel, 40 and Yeshi Samdup, 38. Yeshi Rigsel had suffered bullet injuries to his arm on January 23 in Drango, eastern Tibet when Chinese security personnel opened indiscriminate fire on unarmed Tibetans. At least five Tibetans are feared dead and over 30 seriously injured in the police firings. According to sources in exile with links in the region, the two brothers, Yeshi Rigsel and Yeshi Samdup had fled Drango town after the protests and were hiding in the mountains. “The police had been on the look out for all the protesters in the near by areas, knowing that the ones nursing bullet injuries won’t be able to run for long,” Ven. Ngawang Woebar, a former political prisoner told Phayul. After days of manhunt, the Chinese police tracked down the two brothers in the near by mountains and killed both of them at around 9.30 am local time. “This cold blooded murder of an injured Tibetan along with his brother goes to show the climate of intense violence and repression in the region,” Ven. Woebar added. The two deceased brothers belonged to a nomadic family from Norpa, near Drango. Protests in Drango flared up on January 23, the first day of Chinese new year, after local Chinese Public Security Bureau officials began to arbitrarily arrest Tibetans on suspicion of their involvement in the appearance of leaflets and posters around the town warning of more Tibetan self-immolations if the Chinese government did not listen to Tibetan concerns. The unarmed protesters, many of whom were farmers and nomads raised slogans calling for freedom in Tibet and the return of the Dalai Lama. As the protests grew stronger, the Public Security Bureau and People's Armed Police intervened by using guns to rein in the protesters. Earlier information had confirmed the death of Norpa Yonten and another unnamed Tibetan. Following the protest, the entire region was placed under an undeclared martial law with police arresting 100 Tibetans from Drango on suspicion of their participation in the mass protests. The first graphic images of the January 23 protests reached exile earlier this month. The photos showed in gory details, bullet injuries suffered by Tibetan protesters following the violent crackdown. At least two Tibetans can be seen in the photos carrying bullet holes in the stomach area while others have blood coming out of bullet injuries in their arm and legs. DHARAMSHALA, February 9: The man who set himself on fire yesterday in the besieged Ngaba region of eastern Tibet has been identified as 19-year old Rigzin Dorje. The exile base of Kirti monastery in Dharamshala in a release today said Rigzin Dorje alias Rigpe is from the Garpa Tsongko household in division no.2 of Me’uruma township, Ngaba and the youngest of six siblings. Rigpe set himself on fire at around 6.30 pm local time on February 8. Eyewitnesses have told sources in exile that Rigpe raised slogans against the Chinese government before setting himself ablaze. He was taken away from the site of protest by Chinese security personnel first to the county hospital and later to Barkham. “As of the night of February 8, he was believed to be on the verge of death, but no clear information on whether he is still alive is available,” Kirti monastery said in its release. A former monk at the Kirti monastery, Rigpe has been described as a “kind and humble” person who used to enjoy looking after pigeons. In continued protests in the Ngaba region, which alone has witnessed 13 instances of self-immolations, monks from the Se monastery took out a candle light march on February 5. The monks were marching from their monastery to Ngaba town when they were confronted by Chinese security personnel and stopped from proceeding any further. No information is available on whether any arrests have been made following the march. The situation in Ngaba continues to remain tense with a strict security clampdown on the entire region. According to the release, the situation worsened over the last four days in the build up to the call for a global vigil for Tibet on February 8 by the exile Tibetan leadership. “Beginning early morning on February 8, Tibetans, not only in Ngaba town but on all the roads leading into the town were stopped, searched, and questioned one by one,” the release said. In Tibet, 21 Tibetans have set their bodies on fire demanding the return of exiled Tibetan spiritual leader His Holiness the Dalai Lama and protesting China’s continued occupation of Tibet. Tibetans in Yushul region carrying out a protest on February 8, 2012 with banners calling for the return of the Dalai Lama and respect for Tibetan lives. DHARAMSHALA, February 9: Thousands of Tibetans in the Yushul area of eastern Tibet led a peaceful protest, carrying banners demanding the return of His Holiness the Dalai Lama from exile and respect for Tibetan lives yesterday. The protest coincided with the call for a global vigil on February 8 by the exile Tibetan leadership in solidarity with Tibetans inside Tibet. In information received by Phayul, around 400 monks from the Dzil Kar monastery in Tridu began a protest march to Dza Toe town at 10 am local time. The monks were confronted by a large number of armed Chinese security personnel at a bridge leading to the town and were told that the march will not be allowed any further. “As the confrontation grew, over a thousand Tibetans from the nearby areas joined the monks in the protest,” exile sources with links in the region told Phayul. The monks unfurled banners, written in blue and red ink, symbolic of the two protector deities of Tibet, calling for the Dalai Lama’s return, release of Tibetan political prisoners including the XIth Panchen Lama and respect for Tibetan lives. “The gathered Tibetans raised slogans and led their solidarity protest for nearly three hours,” the exile source confirmed. However, no arrests were made during the protest but a large security build up has been reported in the region. Yesterday’s protest in Yushul comes just a day after a top government official in Beijing said that China will “resolutely crack down” on any attempt to “incite violence or to disrupt national unity and integrity". In the past few weeks, Chinese security personnel in the adjoining regions of Drango and Serthar had opened indiscriminate fire on unarmed protesters, killing and injuring a large number of Tibetans. 21 Tibetans have set their bodies on fire demanding the return of exiled Tibetan spiritual leader His Holiness the Dalai Lama and protesting China’s continued occupation of Tibet. The latest self-immolation took place in the besieged Ngaba town yesterday. Many parts of Tibet remain cut off from outside world with a prevailing situation of undeclared martial law following the fiery wave of self-immolations and mass protests. DHARAMSHALA, February 8: Reports coming out of Tibet confirm that another Tibetan set himself on fire today. The self-immolation took place at the No. 2 primary school in the besieged Ngaba town of eastern Tibet at around 6.30 pm local time. In information received by Phayul from sources in exile, the Tibetan was heard raising slogans against the Chinese government while engulfed in fire. "A Tibetan set himself on fire while shouting slogans in protest against the Chinese government," the exile base of Kirti monastery in Dharamshala said in a release citing links in the region. According to eyewitnesses, the Tibetan is believed to be a monk but his name and place couldn't be ascertained at the time of reporting. "He was taken away immediately by soldiers and police, and his present condition and whereabouts are not known," the release said. The release also said that two unidentified monks were arrested from the vicinity today. Their identities and whereabouts are also not yet known. Today's self immolation in Ngaba coincides with the call by the exile Tibetan leadership for a worldwide vigil against China's ever growing repression and military build-up in Tibet. The Tibetan regional government has warned its officials to maintain stability or face dismissal or criminal charges ahead of the Tibetan new year. The notice was posted on the regional government website. It follows a series of deadly protests in Sichuan province in January and the self-immolations of 19 ethnic Tibetans in the past year in apparent protest against Chinese rule. Tibet celebrates its new year on 22 February. The anniversary of deadly 2008 riots in Lhasa falls shortly afterwards, on 14 March. 'Extreme importance' Citing the government notice, the Tibet Daily newspaper said that officials were warned that they "must put all their efforts into maintaining a stable, unified social situation in our region". They were also urged to "have a clear head and fully recognise the extreme importance and urgency of the job of maintaining stability". The newspaper, however, made no mention of the recent protests or self-immolations. According to the official government announcement, at least two alleged cases of dereliction of duty had been reported. No further details were provided. The ethnic Tibetan areas of Sichuan province are said to remain extremely tense. Correspondents say the recent violence in the region is the most serious outbreak of anti-government protest among Tibetans in nearly four years. Since March 2011, at least 19 Tibetans have set themselves on fire in apparent protest against Beijing's rule. The most recent three cases happened on Friday in Seda county in Sichuan province, activists said. Last month, three violent protests were reported in the same province. One protester was killed on 23 January in a confrontation with security forces in Draggo county, known as Luhuo in Chinese. China also confirmed that a Tibetan was shot dead by security forces in Seda county on 25 January. A man in Aba prefecture was also reportedly shot dead during a protest in the week that followed. Tibetan campaign groups, however, say that the number of Tibetans shot dead is higher than the Chinese government's count. The figures are hard to verify because foreign journalists are not allowed to enter areas of unrest in Sichuan. In March 2008, deadly riots erupted in Lhasa, Tibet's capital, and spread across the region. Three Tibetans have set fire to themselves in south-west China, reports say, in the latest apparent protest against rule from Beijing. US-based Radio Free Asia said they had called for the return of Tibetan spiritual leader the Dalai Lama during the protest in Sichuan province. Exiled activists said one Tibetan died and the others had serious injuries. If confirmed, the latest protest would mean 19 Tibetans had self-immolated in the past year and 13 of them had died. Most of the protesters are Buddhist monks or nuns. Western Sichuan is home to hundreds of thousands of Tibetans. The BBC's Michael Bristow in Beijing says the authorities have launched a heavy security crackdown, sealing off much of the area. Telephone lines have been cut and checkpoints have been set up along main roads, he says. Radio Free Asia quoted exiled sources saying the latest immolations took place in a village in Seda county on Friday. The UK-based Free Tibet group issued a statement with a similar account of the incident. However, an unnamed official at the local government told the Associated Press news agency on Sunday that "no such thing happened". A Tibetan was shot dead by security forces in Seda town on 25 January, some 145km (90 miles) from the latest incident. International media are denied access to the area, making it difficult to verify conflict accounts. Beijing has described the self-immolators as terrorists. Officials have also blamed outside forces, particularly the Dalai Lama, for encouraging these act of defiance. He denies that and blames the heavy-handed treatment of Tibetans for causing discontent. DHARAMSHALA, February 6: The Chinese Embassy in the India capital warned of adverse effect to bilateral relations if representatives of the various Diplomatic Missions in New Delhi met with a visiting delegation of Tibetans parliamentarians. The Tibetan Parliament-in-Exile (TPiE), in a press release on January 28 had announced that a four-member parliamentary delegation, headed by MP Karma Chophel would be visiting New Delhi to call on representatives of Diplomatic Missions and the United Nations, following the recent surge in mass demonstrations and the growing instances of self-immolations in Tibet. The Embassy of the People’s Republic of China in India responded by writing a letter addressed to “all Diplomatic Missions and Offices of the Specialised Agencies of the United Nations,” urging them not to receive the Tibetan parliamentarians. “[T]he Embassy of the People’s Republic of China sincerely hope that the Diplomatic Missions and Offices of the Specialised Agencies of the United Nations in New Delhi will not receive the so called “representatives” of Dalai clique and refrain from having any contact with them, so as not to send out wrong signal which may be misused by Dalai clique and cause adversely effect to the mutually cherished bilateral relations,” the letter said. However, China’s muscle flexing went largely ignored as a host of Ambassadors and representatives of Diplomatic Missions met with the Tibetan parliamentary delegation. Ambassadors from the Czech Republic, Slovakia, Switzerland, Sweden, and Denmark personally met with the Tibetan MPs, while deputy heads and political officers from the United States, British, Canada, Germany, France, Taiwan embassies, and the European Union among others, received the Tibetan delegation. The TPiE, in an open letter addressed to the president of the People’s Republic of China, Hu Jintao, had urged him to withdraw the large military reinforcements from Tibetan areas and take measure to give due consideration to the aspirations of the Tibetan people. “We express the above sentiments with hope in our hearts that positive sense will prevail over you and your colleagues and immediately respond to the legitimate concerns, failing which you and your government will be held solely responsible for any adverse consequences if the matter are not addressed in a humane way,” the letter read.